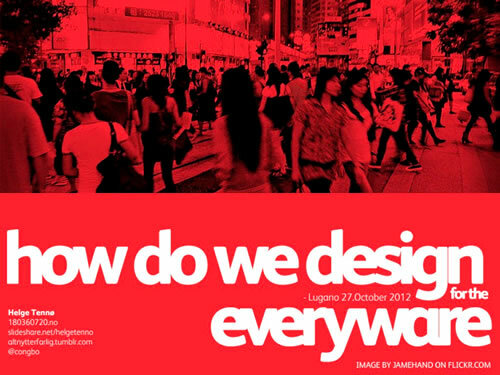 How Do We Design For The Everywhere? It’s been a while since we’ve posted a full-on art directed type deck, lets remedy that. Helge Tennø is always good for custom slides and finding the right imagery to prop his content up. There’s even a video of him giving the presentation itself if you’re interested in seeing it in context. What font was used for this deck? Its beautiful an doesn’t show up on whatthefont!